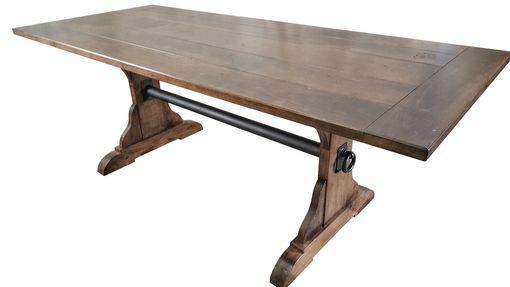 Rustic Distressed Farm Trestle Table is made from hand distressed Maple boards and salvaged black iron pipe. Vintage door pulls anchor the trestle stretcher to the legs. Stained in Espresso with Dark Walnut tinted Satin Lacquer low VOC finish. 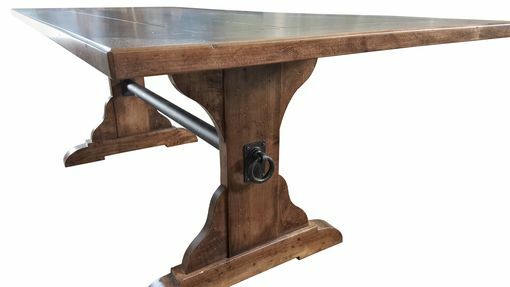 We're sure you will love having this great table become a part of all your gatherings.